Tacos extraordinaire! Experience the best tacos in town! 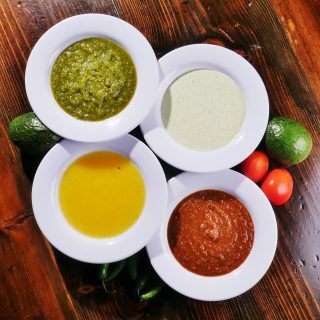 Our specialty sauces are made daily from fresh ingredients. All sauces made from scratch! 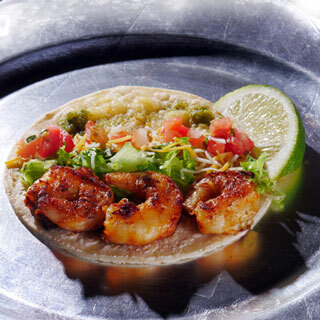 Come experience the best of two cultures – Mexican and Cajun – a Guaco Taco specialty. 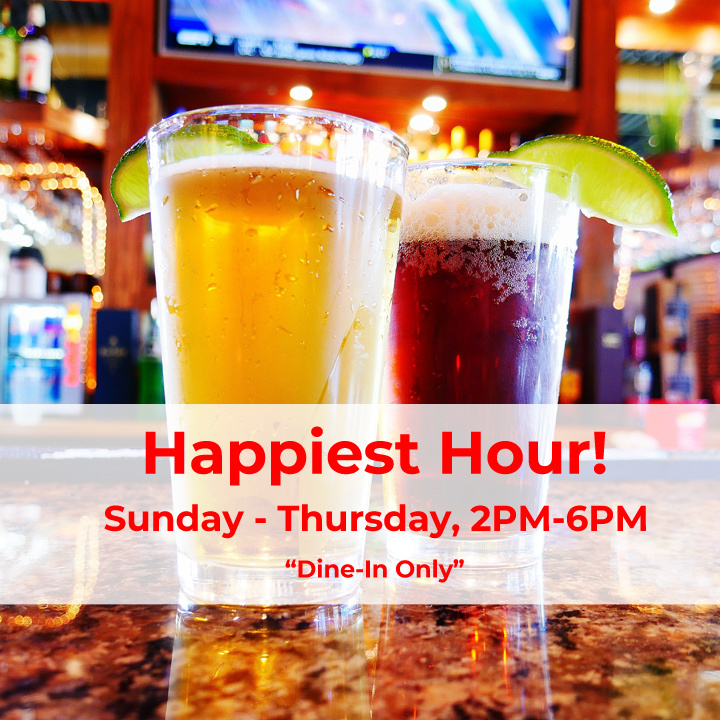 Guaco Taco’s Happiest Hour In Crystal Falls! To put it simply, we want to offer food that we like to eat. We call it “Fresh and Fast.” Homemade from scratch and using the finest ingredients possible without cutting corners. And of course, always mindful of offering a good value to our customers. Our original tacos (beef, chicken, carnitas) are simply dressed with shredded cheddar/Monterey Jack cheese and chopped lettuce. 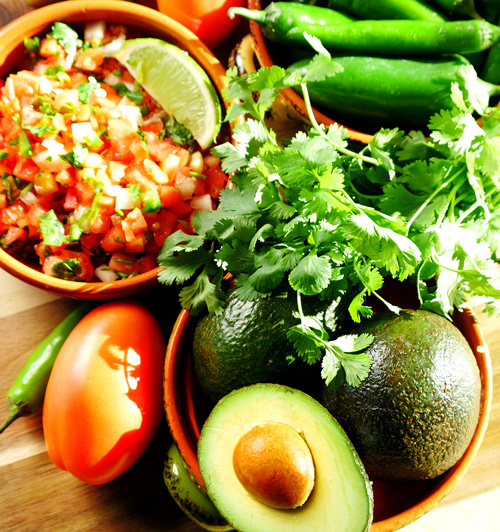 You may add complimentary condiments such as pico, tomatoes, onions, or cilantro to suit your taste. For diners wanting more complex flavors, you may want to try one of our 5-layer tacos. A double order of guacamole is spread along the bottom of the taco, then layered with your meat (or veggie) choice, queso, lettuce and pico de gallo. Our shrimp and fish tacos are addictive! They are lightly seasoned, allowing the taste of the seafood to shine. Paired with one of our homemade sauces, you’re in for a delightful treat. 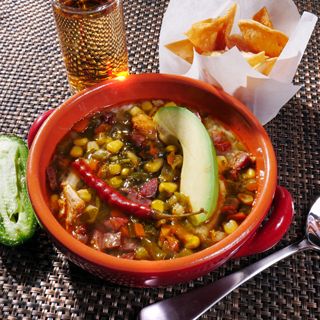 Our Mexican Gumbo is a spicy blend of veggies and meat served over rice and cooled down with a slice of fresh avocado on top. Last, but not least – our chips and taco shells. We fry them fresh every morning to a perfect golden crunchiness. Afterwards they are sprinkled with a light Parmesan dust to add a unique, subtle and wonderful flavor. We hope you enjoy your selection and enjoy many meals with us!